9. 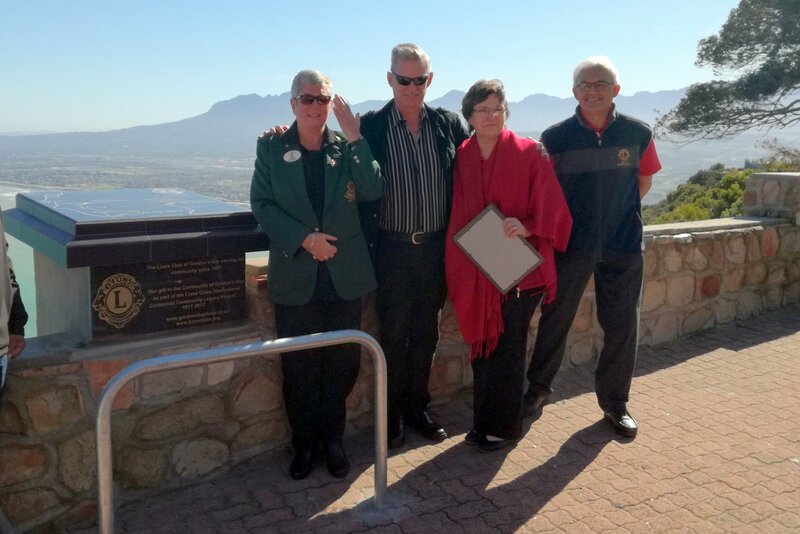 September 2017 - A beautiful sunny and windy day welcomed Councillor Johan Middleton, Lions Club officials & members and the public to the official opening of our Direction Finder. 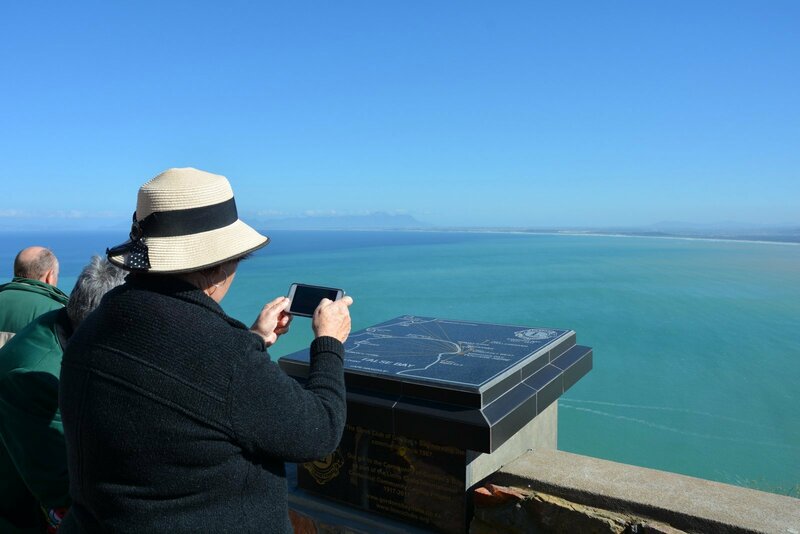 Councillor Middleton, Lions Clubs District 410 A Governor Geila Wills and Lions Club President Grant Jonathan cut the ribbon to inaugurate the direction finder, which is situated high above Gordon’s Bay next to the entrance to the Steenbras Dam Water Plant. The ceremony than went on at the Lions Club House. 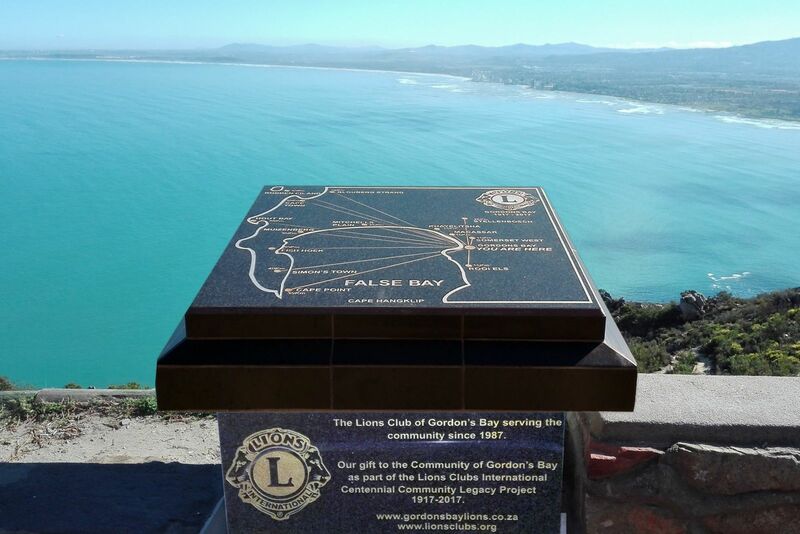 The unveiling of the direction finder celebrates a hundred years of service by Lions Clubs International, sixty years by Lions Clubs in South Africa and thirty years of service for the community by the Gordon’s Bay Lions Club in 2017. 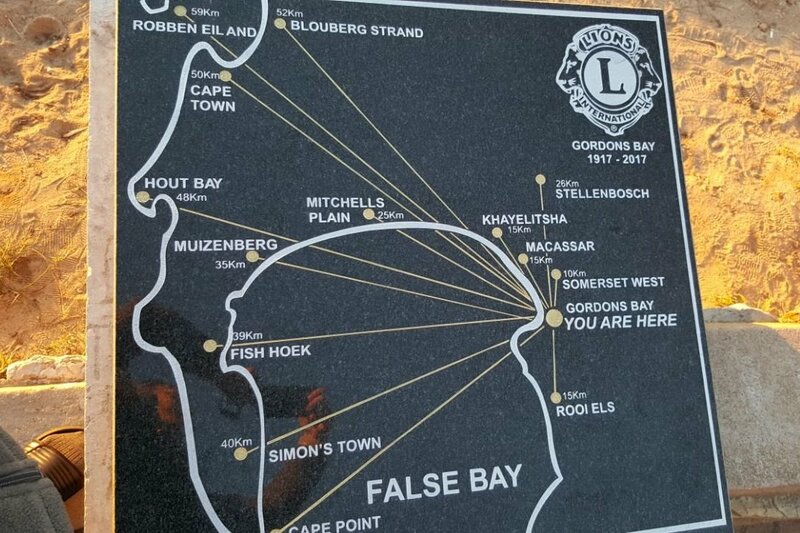 The Direction Finder is a Lions Community Legacy Project, which will benefit visitors from all over the world for many years to come. 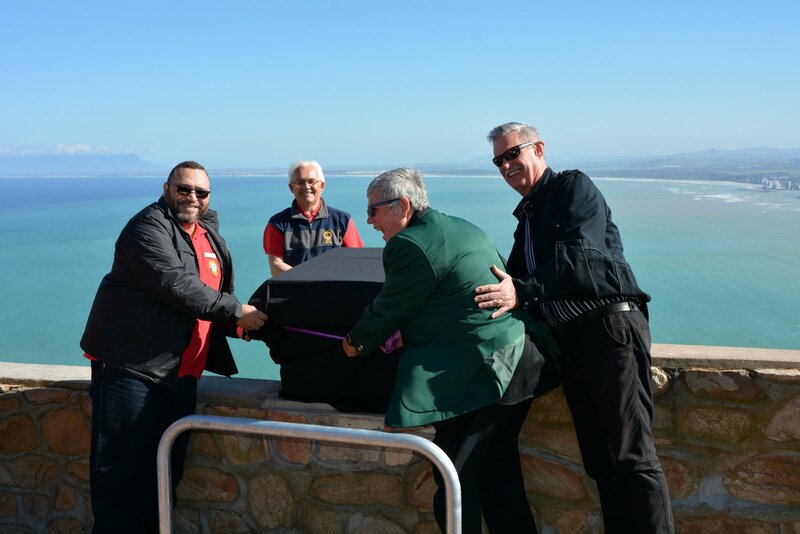 Club President Grant Jonathan thanked all the persons that worked tirelessly behind the scenes, especially Lion Paula Lang who initiated the project twelve months ago and Frans Tredoux of the City of Cape Town, who’s support made the whole project possible in the first instance. 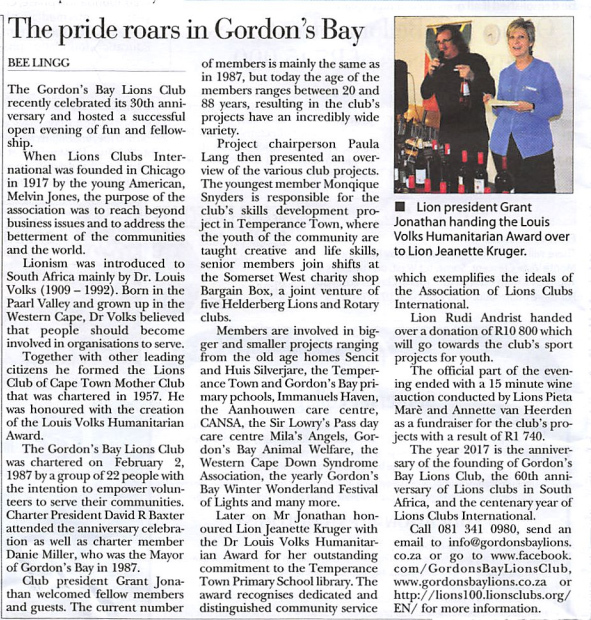 Lions District Governor Geila Wills thanked the Lions for a wonderful Centennial project, hoping that in a hundred years people would still look at it with the same enthusiasm they do today. 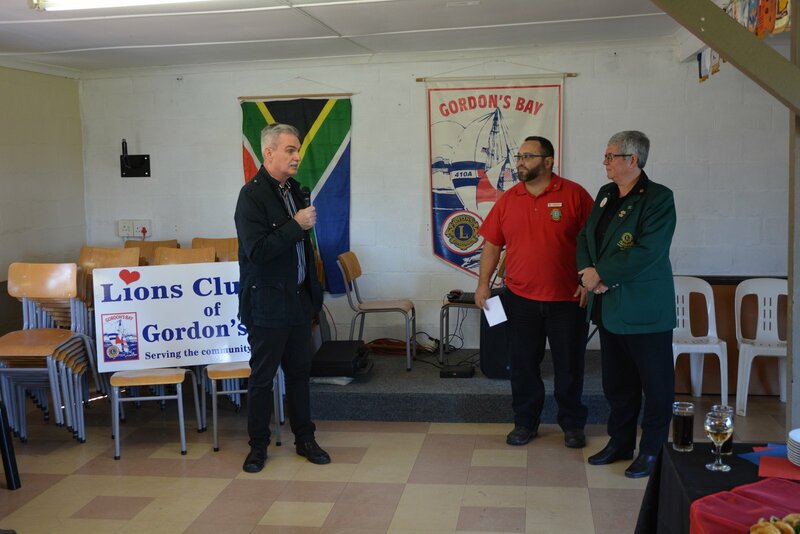 Councillor Middleton paid tribute to the Lions Club and the unselfish service to Gordon’s Bay and surrounding communities: I just want to say, that it is so important what the Lions Club is doing for the community. We, the City, want to see things like this happening in our community. 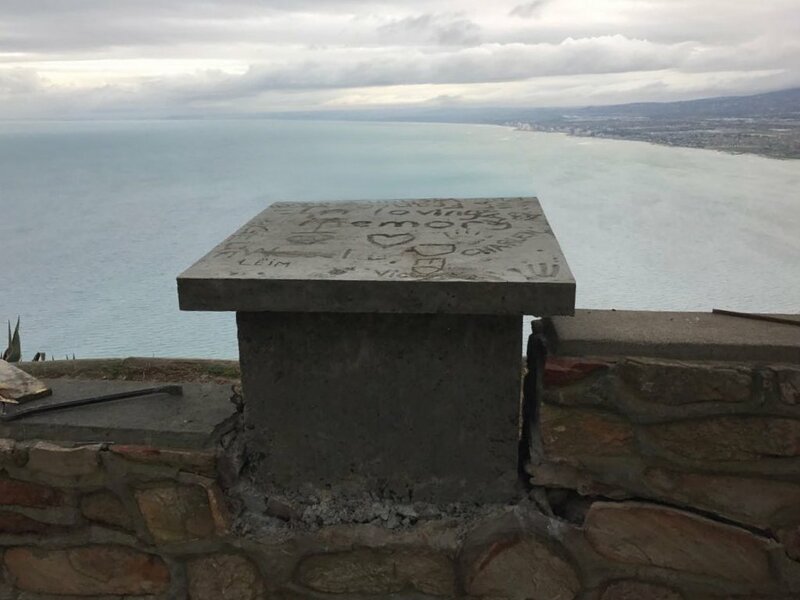 The direction finder is a landmark for the Lions and for Gordon’s Bay and I will invite all my visitors to go up there and see the beautiful view that we have, it may be the most beautiful view in the city. 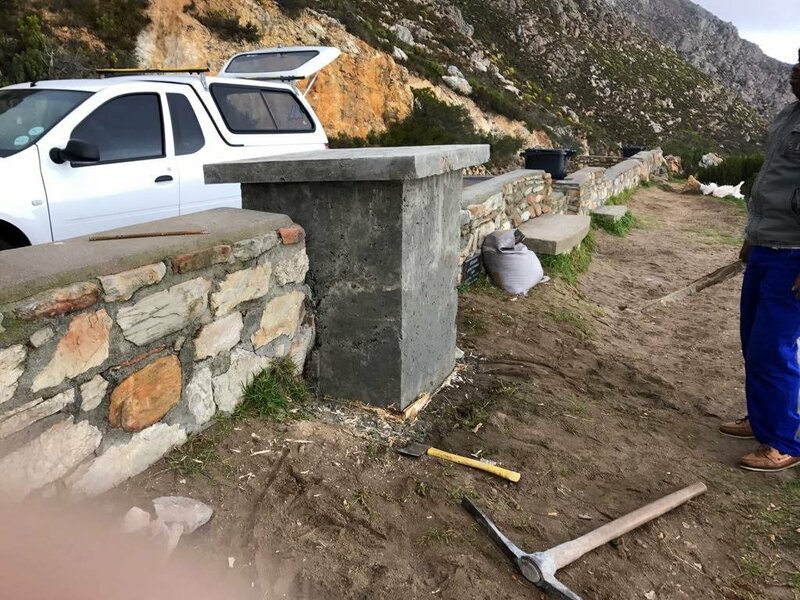 For us, as the City of Cape Town, it means a lot, that there are organisations that are not only willing to give something, but to also do something (constructive) in the public spaces and that it’s there for the benefit of all. 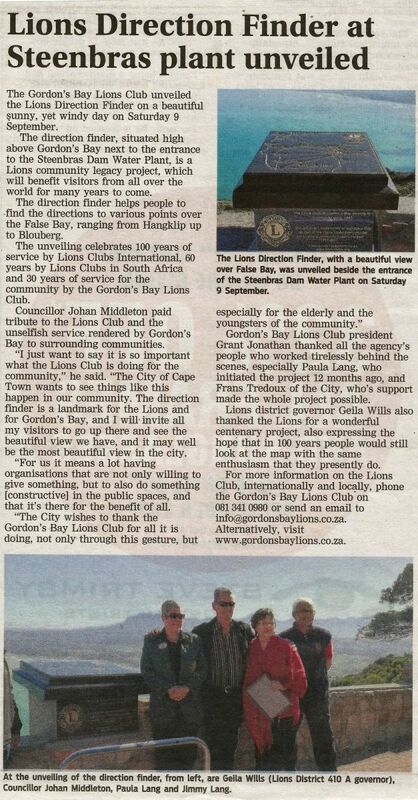 From us, as the City of Cape Town, I just want to thank the Gordon’s Bay Lions Club for all that they are doing, not only with this gesture, but also for the elderly and the youngsters in the community. 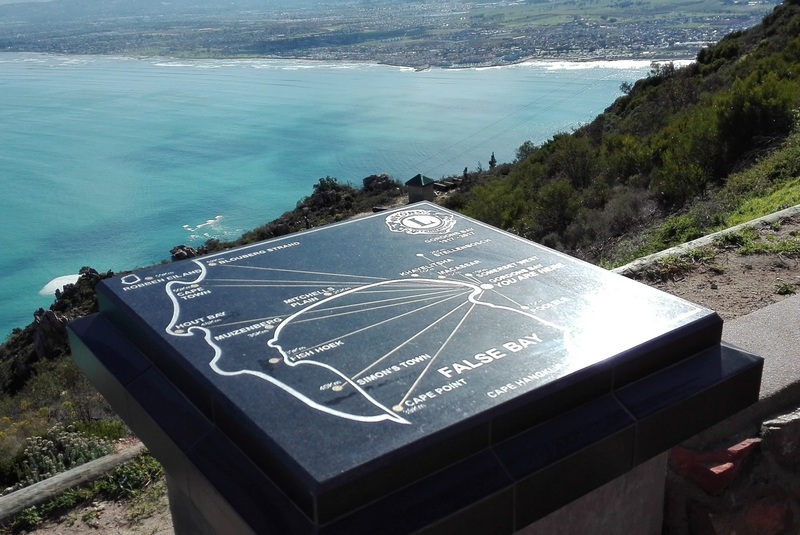 The Direction finder covers an uninterrupted view of approximately 150 degrees over False Bay, Helderberg & bigger Cape Town. 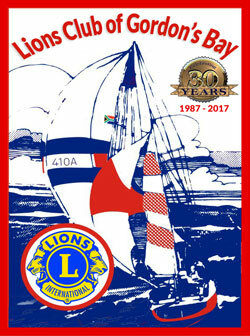 Our club was born on the 2th February 1987 when it received its charter from Lions Clubs International. 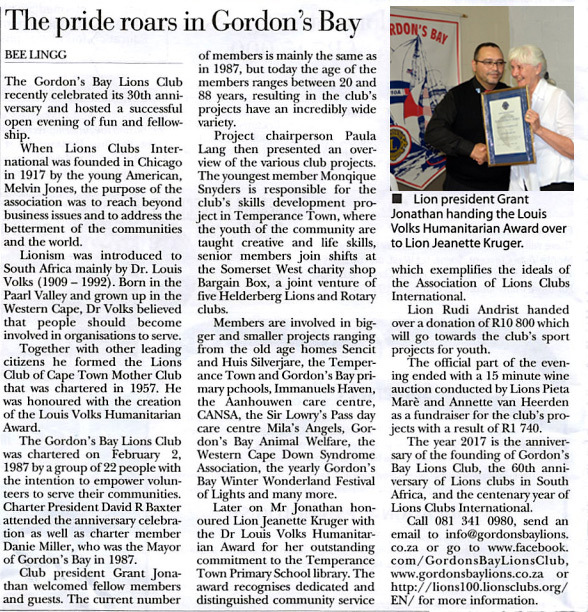 A group of 22 service minded men from Gordon’s Bay had felt the need to serve their community and under the leadership of the first President David Baxter started the Gordon’s Bay Lions Club. On Friday 4th March 2017 we celebrated our 30th anniversary at our Clubhouse in Roos Street with a cheese and wine evening. 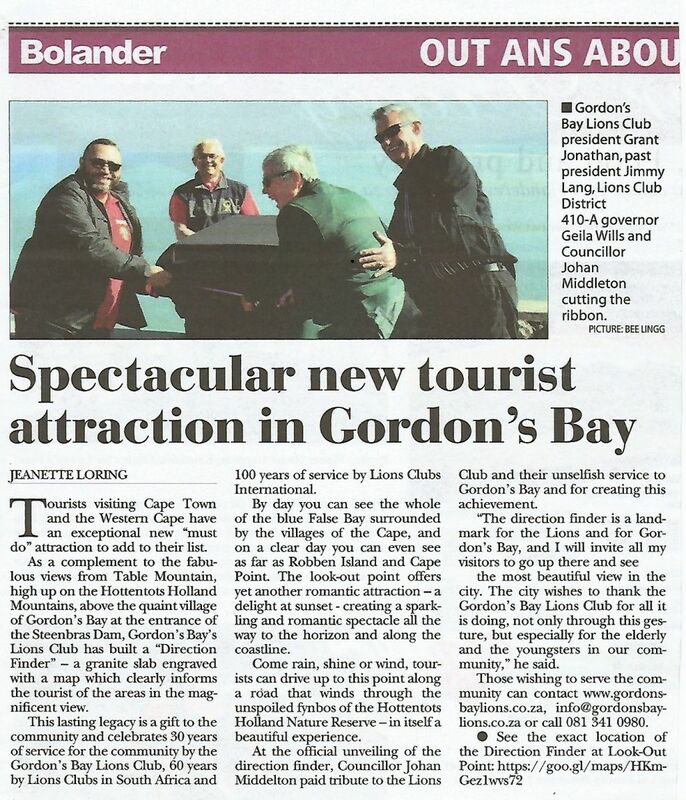 We were very fortunate to be able to host Charter President David Baxter as well as Charter Member Danie Miller, who was the Mayor of Gordon’s Bay in 1987. Club President Grant Jonathan welcomed fellow members and our guests and then Project Chairman Paula Lang presented an overview of our various club projects. 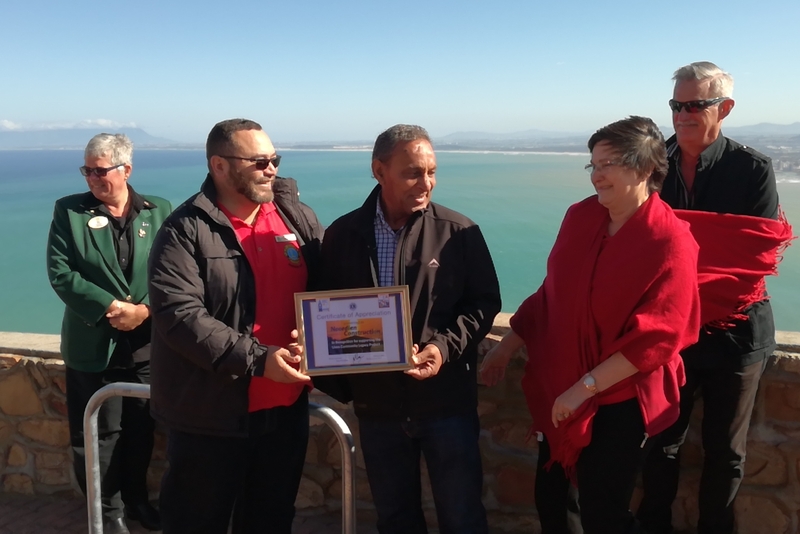 Later President Grant Jonathan honoured Lion Jeanette Kruger with the Dr. Louis Volks Humanitarian Award for her outstanding commitment to the Temperance Town Primary school library. 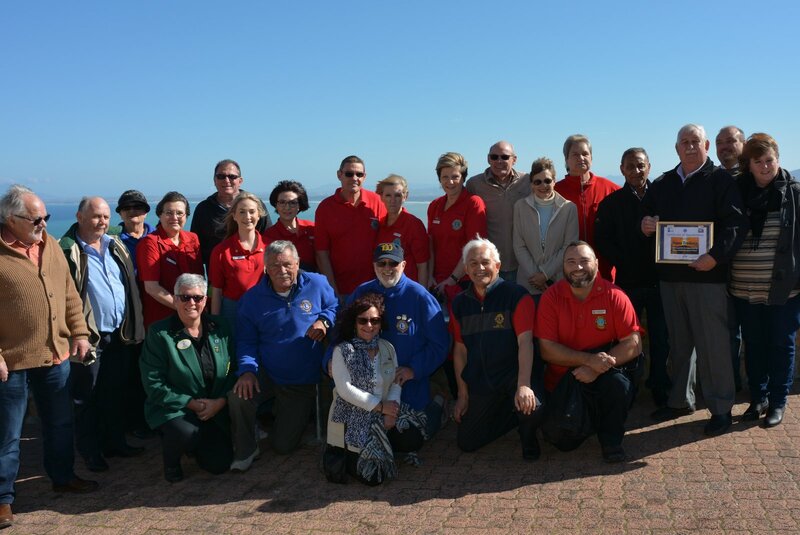 The award recognises dedicated and distinguished community service which exemplifies the ideals of the Association of Lions Clubs International. Member Lion Rudi Andrist presented a donation of €800 for use in our sports project for youth. 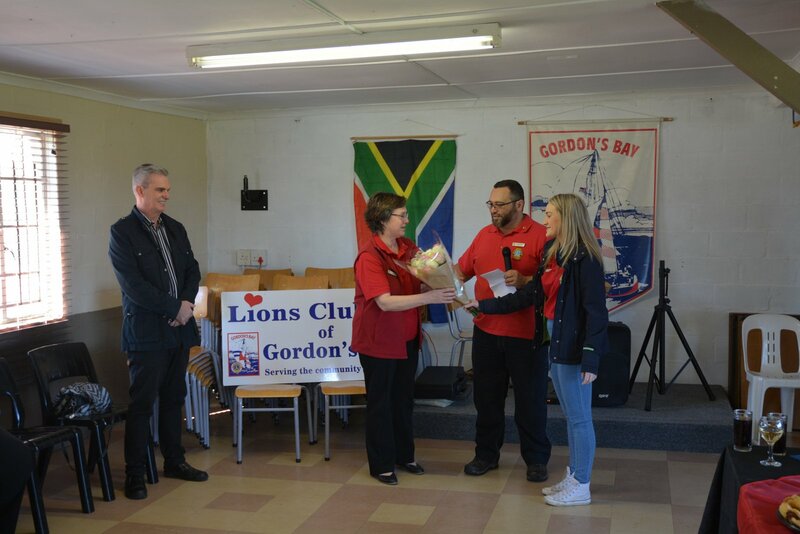 Lion Rudi recently celebrated his birthday and he asked his overseas guests to consider donating money to our club in lieu of a birthday present. The evening ended with a wine auction by Lions Pieta Marè and Annette van Heerden which raised R1 740.00 which will be used for club projects. Although our club had on average "only" 30 members, the service that they delivered, was extraordinary. Ca. 432.000 Lion hours were spent in the last 30 years and ca. 540.000 people were served. Our motto since 30 years: WE SERVE ! 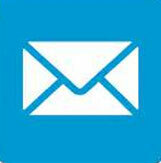 To find out how to support our club, read here. Lions Vic Bisogno, Lion Past President Paula Lang, Lion President Grant Jonathan, Lion Charter Member Dave Baxter and his wife Ann Baxter. Project Chairperson Lion Paula Lang presenting an overview of our various club projects. Ca. 432.000 Lion hours were spent in the last 30 years and ca. 540.000 people were served. Lion Jeanette Kruger, Lion President Grant Jonathan, Lion Rudi Andrist and Lion Barry Kruger President Grant Jonathan presenting Lion Jeanette Kruger with the Dr. Louis Volks Humanitarian Award for her outstanding commitment to the Temperance Town Primary school library. 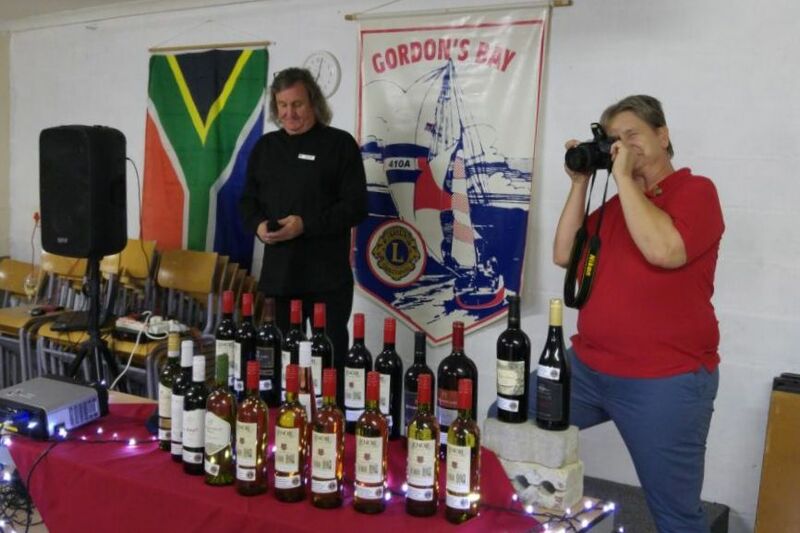 Lions Pieta Marè and Annette van Heerden holding the wine auction which raised R1 740.00 for club projects. President Grant Jonathan receiving a donation of €800 ( R 10.800) from Lion Rudi Andrist for use in our sports project for the youth in our community. Lions Club office bearers serve for one year from July to June and are elected by club members. 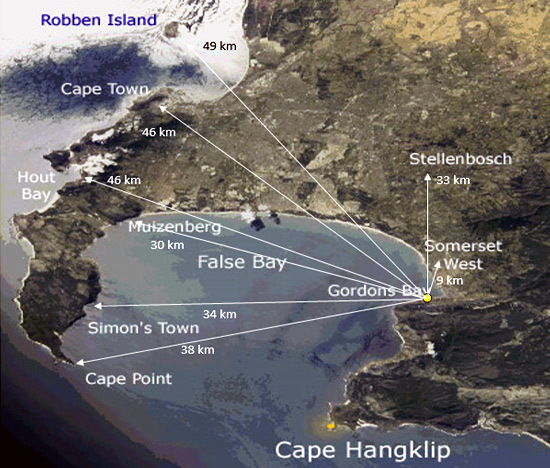 You will find the current club office bearers here. 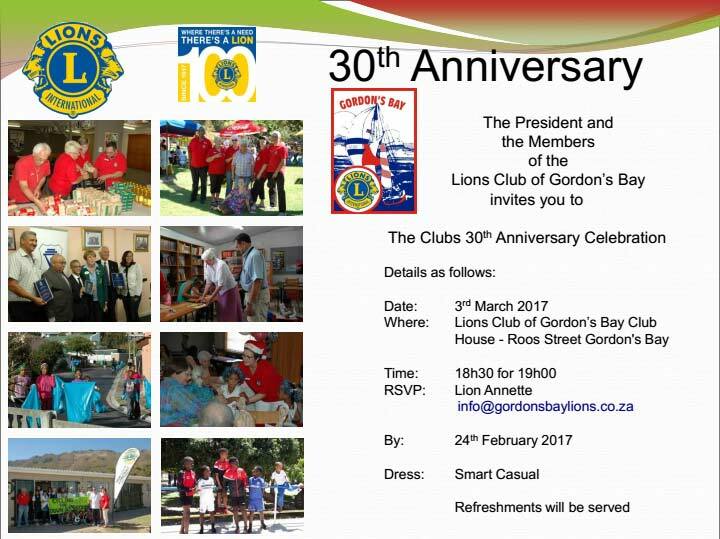 The Gordon’s Bay Lions Club was sponsored by the Stellenbosch Lions Club and was chartered on the 2 February 1987. The club started with a membership of 22 service minded men, as at this time full Lions membership was not open to women. 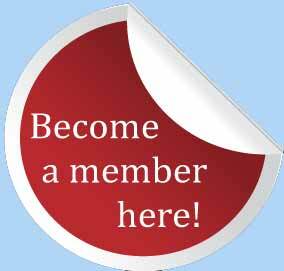 Women have been welcomed into full Lions membership for many years and now play an important part in our organisation.